Mark asks: I don’t know if you’ve already covered this or not, but why do we call quitting something abruptly “cold turkey”? When you quit something “cold turkey” it means that you’re quitting smoking, drinking, a hard drug, or eating delicious chocolate cake right then and there without being slowly weaned off the addictive (possibly chocolatey) substance. What with turkeys being a symbol of a famous American holiday, if you assumed that this phrase has its origins in the good old USA, you are correct. It might surprise you, though, to learn that “cold turkey” actually started off meaning “plain speaking,” a meaning that is still around today, though much less prominently- with this definition usually in the form of “talking turkey” today. I’ve heard [Reverend Billy] Sunday give his ‘Booze’ sermon, and believe me that rascal can make tears flow out of a stone. And furthermore he talks “cold turkey”. You know what I mean – calls a spade a spade. 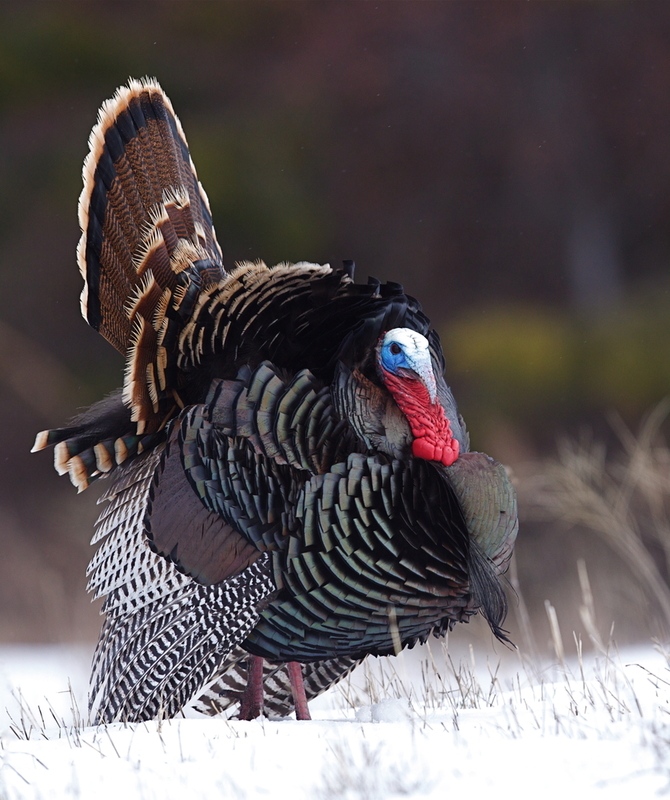 Exactly how turkeys are related to plain speaking is unknown, but there are a few theories. You might have heard that it dates all the way back to the Pilgrims and Native Americans chatting over a plate of turkey at “the first Thanksgiving,” but this theory is hardly credible, not the least of which because there is no record of Pilgrims actually eating turkey on the “first” Thanksgiving in America (which wasn’t actually the first, nor really at all as it is depicted popularly today). More likely, “talking cold turkey” stems from the fact that a plate of cold turkey is a simple meal without many frills—that is, it was pretty plain. Therefore, “talking cold turkey” meant “talking plainly.” That said, there isn’t a lot of direct evidence to back this theory up either, but it’s seemingly the most likely of the various theories etymologists have come up with. Perhaps the most pitiful figures who have appeared before Dr. Carleton Simon are those who voluntarily surrender themselves. When they go before him, they [drug addicts] are given what is called the ‘cold turkey’ treatment. It’s likely that both meanings of the phrase were in use well before they appeared in print. The jump from plain talking to quitting drugs isn’t exactly clear, but once again the most popular and plausible theory is that, it’s believed that a plate of cold turkey has something to do with it. If talking cold turkey means talking plainly, then quitting cold turkey means quitting plainly without any frills or fancy methods used. A second theory is that a person in extreme withdrawal looks and feels a bit like a cold turkey carcass. People going through withdrawal, particularly withdrawal from such things as a heroin addiction, are often cold to the touch, clammy, and covered in goosebumps. Heroin was a popular drug touted by its maker, Bayer (yes, the Aspirin people), as a non-addictive cure-all and widely marketed shortly before “cold turkey” first popped up in text meaning to abruptly quit something addicting, lending credence to this theory as comparisons could feasibly have been drawn between a cold turkey and the many rehabilitating heroin addicts of the age. That said, like the previous theory, this is all simply a lot of educated speculation, rather than documented evidence backing the theories up. Whatever the case, back in the 1920s, this phrase in this context was mostly only used to refer to people quitting some drug. However, over time it has evolved to mean quitting anything that might not be good for us in high doses. Another phrase commonly associated with cold food is giving someone the “cold shoulder.” The story goes that this comes from giving someone a cold shoulder of meat—a tough, hard to chew cut—when they’d overstayed their welcome. However, there’s actually no direct evidence to back this up. This phrase first appeared in Sir Walter Scott’s The Antiquary in 1816, where showing someone the cold shoulder is referenced. However, there is no mention in his work of a cold shoulder being eaten. Native Americans had tamed Turkeys as early as 800 B.C. Initially, they used the birds for their feathers rather than their meat. There used to be a larger variety of turkeys, but the ones we know today are mostly descended from those that the Aztecs kept. While the Internet isn’t addictive in the same way that some drugs are addictive, it does test a person’s willpower as it is constantly available and gives the incredibly addictive (to the mammalian brain) intermittent random reward. For instance, given time, our brains have conditioned us to treat things like social media “likes” or updates, randomly posted new content from our favourite websites, and the receipt of e-mails as “rewards,” and when seeing a new notification our brains are flooded with “feel-good chemicals” which make us want to use the internet even more and check these things even more often. Things like slot machines also take advantage of the incredibly addictive power of intermittent random rewards.